You are here: Home / Articles / Can I Get Rid of My Second Mortgage in a Chapter 13 Bankruptcy in Georgia? 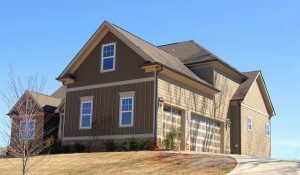 Are you facing a foreclosure in Georgia? Has a monetary crisis made it impossible to pay your mortgage payments? Could you afford to keep your home if you did not have a second mortgage or equity line on your home? A Chapter 13 bankruptcy in Georgia might be able to help you keep your home by reorganizing your debts into a manageable monthly plan. The Bankruptcy Code provides a procedure for debtors to “value” their second or subsequent mortgages at zero. What does this mean for you? If you are successful in filing a motion to value a second mortgage, your second mortgage becomes an unsecured debt. Most debtors who are successful pay only a small percentage of the amount owed on the second mortgage through their Chapter 13 plan. How can you get rid of a second mortgage in bankruptcy? Before filing your bankruptcy case, our Roswell bankruptcy attorneys analyze your assets and debts to determine if you might be able to value your second mortgage. To be able to get rid of a second mortgage, your home must be worth less than you owe on your first mortgage. If your home is worth $1 more than you owe on the first mortgage, you are not able to value subsequent mortgages. Furthermore, you cannot value a portion of a mortgage — it is an all or nothing option. What if the Mortgage Company Objects to the Motion? Because mortgage lenders do not want to receive pennies on the dollar to satisfy their debt, many lenders fight the motion to value. You may be required to pay for a written appraisal to prove your home is worth less than is owed on the first mortgage. However, if you can get rid of the entire debt owed on a second mortgage for pennies on the dollar, paying for an appraisal is worth the potential benefits. The mortgage lender may retain an appraiser and request a hearing. If so, a bankruptcy judge will hear testimony and make a decision regarding your motion to value. If you are struggling under the burden of a mortgage or equity line you cannot pay, we encourage you to contact our firm for a bankruptcy consultation with a Roswell bankruptcy lawyer. What If I Cannot Get Rid of a Mortgage in Bankruptcy? It is easy to get behind on mortgage payments when you are having money problems. Unemployment, injuries, illnesses, and other unexpected life events can cause a temporary decrease in income. You miss one or two payments, but you intend to catch those payments up once you find a job or return to work. Before long, you have been threatened with a foreclosure. Even though you offer to work with the lender to catch up the past due mortgage payments, the lender refuses to be reasonable. A Chapter 13 bankruptcy in Georgia may be the answer to your problem. Even though you may not be able to get rid of a second mortgage, a bankruptcy plan does allow you to catch up those payments a little at a time over three to five years. By spreading out the amount that is past due, the plan gives you the financial relief you need to resume making regular payments, catch up your past due payments, and keep your home. A bankruptcy filing also gets rid of unsecured debts. In many cases, a debtor only pays a small percentage of the amount owed to unsecured creditors. By eliminating unsecured debts for only a fraction of the amounts owed on those debts and spreading out those payments for several years, you have more money each month to keep your mortgage payments current going forward. What About Refinancing My Mortgage to Save My Home? If you are experiencing financial problems that prevent you from paying your debts each month, refinancing a mortgage may not resolve all your debt problems. For example, you might catch up your past due mortgage payments; however, if you cannot afford to pay your bills going forward, you may end up back in the same situation within a few months. Instead of taking care of only one problem, you need to find a solution to resolve all your money problems. Filing Chapter 13 bankruptcy in Georgia can offer you an affordable solution that allows you to keep your home and other assets while getting rid of burdensome debts such as credit cards, personal loans, medical bills, and old utility bills. Before you attempt to refinance a mortgage, withdraw retirement funds, dip into savings, or work with a debt consolidation company, use the consultation offered by our Georgia bankruptcy attorneys to learn how a Chapter 13 case can solve all your debt problems. The attorneys of Charlton & Glover are here to help you when you need a trusted bankruptcy attorney. Call our office at 770-993-1005 to schedule a bankruptcy consultation. You may also find more information about bankruptcies in Georgia in our Atlanta bankruptcy blog.